South Australian pushing through finger injury at round three. 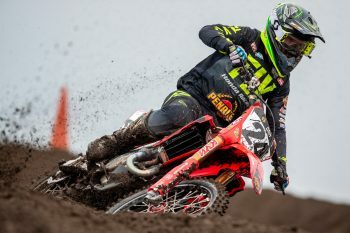 Penrite Honda Racing’s Brett Metcalfe has declared his focus this weekend at Broadford is to salvage points and keep his Pirelli MX Nationals title hopes alive has he pushes through a broken finger. Metcalfe sustained the injury in a first turn clash at Wonthaggi that forced him to accept a DNF and lose significant ground in the standings, which came just eight weeks after he suffered multiple vertebrae fractures in a pre-season incident. Tipped as championship favourite this year, Metcalfe has been limited to riding solely at the races as he endeavours to completely recover, which he anticipates will be the case until after Murray Bridge in the first week of May. 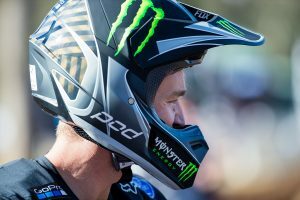 “I wouldn’t say we’re set to go, but it’s going be as good as I can make it,” Metcalfe admitted to MotoOnline.com.au. “At the end of the day, it’s a broken finger and it’s going to be annoying, so I’m just going to have to push through the weekend, get some points and keep the championship alive – that’s the main goal. 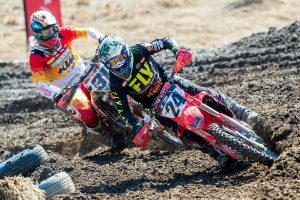 The number 24 is ranked 12th in the championship rankings, 35 points behind red-plate holder Hayden Mellross (Raceline KTM Thor).